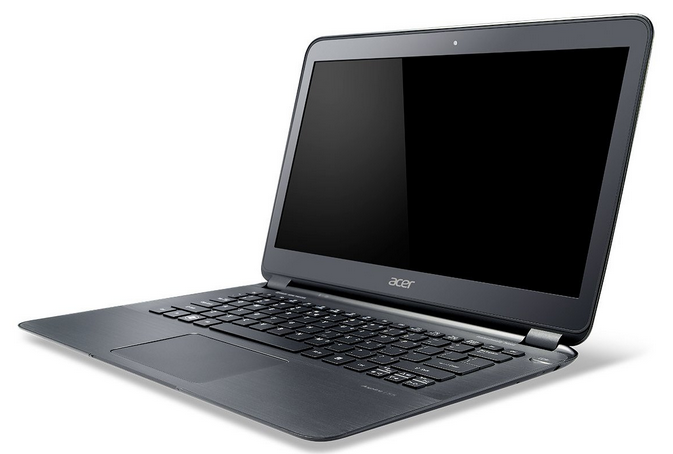 The Acer Aspire S5 Ultrabook is now available for purchase starting at $1399. This includes the motorized ‘MagicFlip’ port section which drops down from the bottom of the Acer Aspire S5 to reveal the bulk of the ports in the back of the unit. 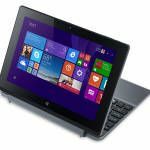 You might wonder how Acer is charging $1399 for the S5 when it has a relatively low resolution (1366×768) screen next to the Asus UX31A Zenbook Prime and UX32VD (both 1920×1080) — the secret is hidden away inside: two 128GB SSDs linked together in a high performance RAID 0 configuration. So what then lead to the final verdict of 3 out of 5 stars? For one, it seems that the resolution is not up to par and we’d have to agree. For $1399, 1366×768 feels too low. With Asus now offering 1080p displays on the UX31A Zenbook Prime and UX32VD Ultrabook, we think 1600×900 should be minimum on premium devices like the S5. LaptopMag also found the colors to be unimpressive and the screen not particularly bright. Then there is battery life which is apparently also lagging. In LaptopMag’s testing, the Acer Aspire S5 came in an hour shorter than the UX31A. At 5 hours and 24 minutes you can still get a reasonable amount of work done, but those who need more lengthy battery life might want to look elsewhere. And finally there is that novel MagicFlip port function which we’ve been concerned with from the beginning. There are obvious fears about breakage in the long term. It’s surprising that as we’re moving toward widespread use of solid state drives Acer decided to cram a breakable mechanical oddity into the S5. 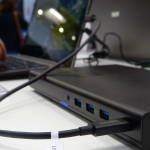 LaptopMag had no issues with the function from a mechanical standpoint but also hopes it will hold together over several years of use and would prefer that the ports be on the side rather than in the back. 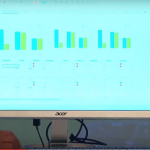 There’s more benchmarks and info to be considered and we encourage you to go check out LaptopMag’s full review of the Acer Aspire S5 if you’re interested. 34Whr battery. That’s the same as S3. Amazon’s Aspire S5 page is claiming 6.5 hours. Getting over 5 hours of battery from LaptopMagazine’s tests seem pretty good. It would be realistic calling it 6 hours though. I’m not sure I like the RAID 0 SSDs. That adds up to the boot time while single SSD is cheaper than a dual one. Also there’s a ? mark over the MagicFlip port. But in overall the engineering team stepped it up with the S5. I’d like to see the S7. 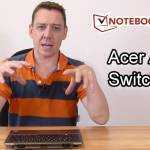 I’m waiting for more information on the 11.6″ Acer S7. I’m hoping there’s no RAID configuration on it. That just gives Acer reason to charge more. That extra speed will only be noticeable if you’re copying 4.97 GB folders all day long. Also, there are no moving parts that could break. Acer won’t have to trickle down the costs of engineering the mechanical door either. You write a review based on someone else’s review? odd. Does not makes sense. In that case just add the lisk of the third party! Other than that good web page. 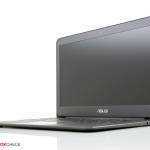 Forget about Acer Aspire S5. I bought one last Sunday and the battery only lasts 1 hour and 50 mins. Customer Service will make you boil…. Listen to how they answer and shifting irresponsibility.